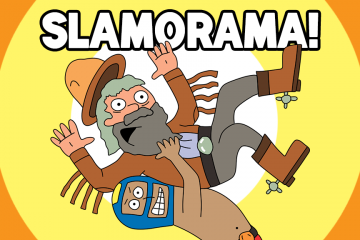 SLAMORAMA has been on Kickstarter for 6 days now and is doing pretty well! We are 39% funded and couldn’t be more happy with the progress so far. We’re almost there! There’s still time to get an early bird copy for $8 +shipping if you’re on the fence! Or get the awesome bundle with Straight 4, Frog Chess, Wet Blanket and SLAMORAMA of course. We promise this game will be you countless joyous days of punching others without actually having to cause them harm. Please don’t actually punch your friends. That is strictly forbidden. We’d also like to let everyone know there are three game modes in this game! The standard game play gives everyone the opportunity to look at four cards from their personal deck to draw moves from. Tag team mode allows each player to play with a partner, where both players throw down a card and their added sum is played against other teams. The great thing about this mode is that teams cannot communicate about which card they are going to throw down. The last mode is full deck mode where you get to look at all of your cards instead of just four. This allows for more strategic moves in a way. You get to decide whether to throw down your strongest moves first or save them for last! 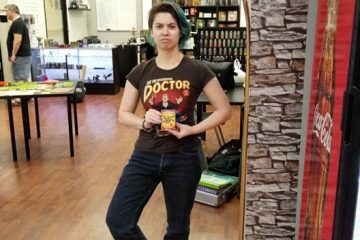 Watch this game play video to learn more! If you have any questions please ask us! If you have any friends that would be interested in owning a game like this please share this with them! We feel like SLAMORAMA would be an awesome addition to anyone’s collection.